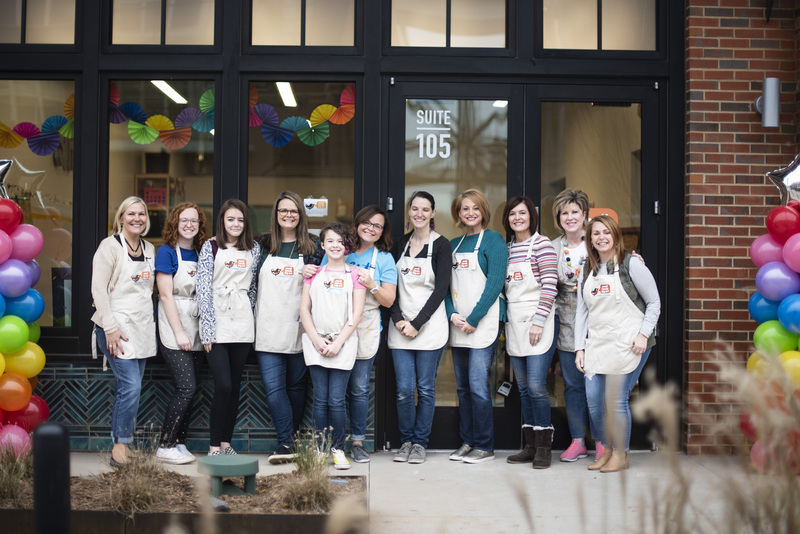 The Fort Mill studio Grand Opening last Saturday was epic! It was surprisingly emotional on so many levels. First of all, I was over-joyed for the Lumpkin family because I know the ways in which their lives are about to change! I know this because I have lived it for the past ten years! I am so happy and excited for them to experience how rewarding and fulfilling owning their own Small Hands Big Art studio will be! Will it be a lot of hard work? Absolutely!!! Will their feet hurt some days? Um, yeah. But will any of that compare to how full their hearts will be when they stand in their studio ten years from now looking back over a decade of so much laughter and joy, so many happy kids, so many memories, so many messes, so many masterpieces? Next, it was really cool to see the culmination of all of Jen & Morris’ hard work come together! 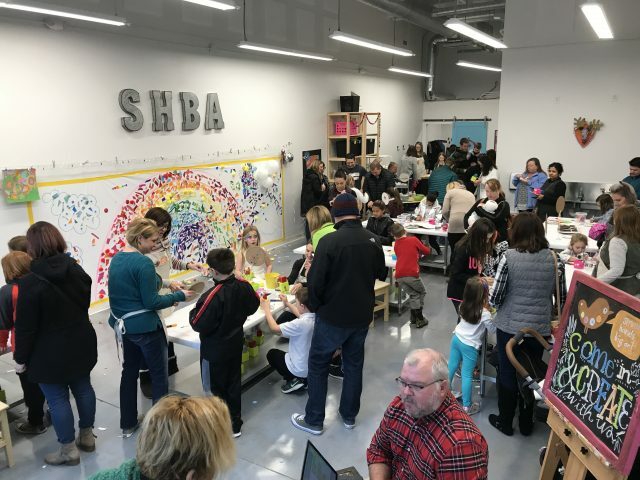 They really pulled together a fabulous space! It’s open & airy, clean and modern with a bit of an industrial vibe. Jen has such an eye for decor and she really nailed it with her unique ideas to lay out the space! And lastly, it was so heartwarming to see sooooo many people come out to welcome them! 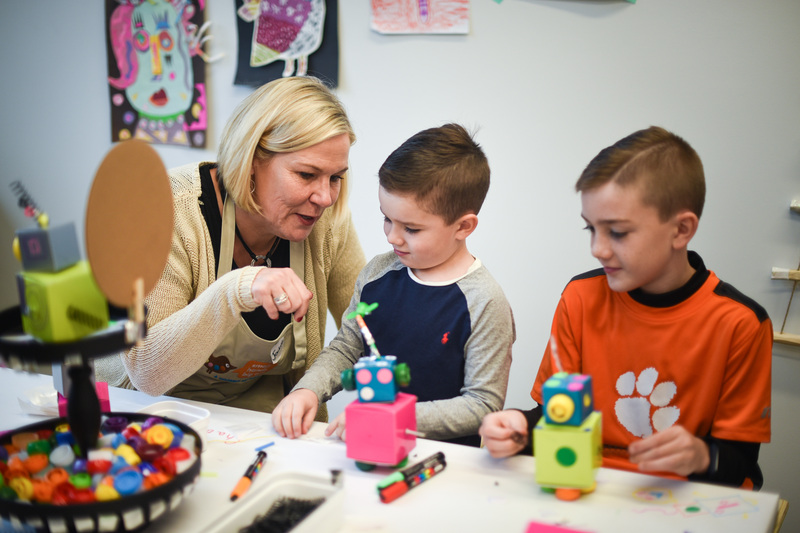 It was a pretty wet, dreary winter’s day, but that didn’t deter families from Fort Mill, Rock Hill & Tega Cay from truckin’ on it to say hello and get their creativity on! And chow down on some BBQ! It was great to see so many familiar faces who live in Fort Mill who have made the commute to Charlotte all these years, who now have a much more convenient option right in their back yard. “You plan and you plan. Then you wait. 9:50. 9:55. 10:00…. Will anyone come? Before we knew it our beautiful shiny new studio was full. Full of NEW friends. 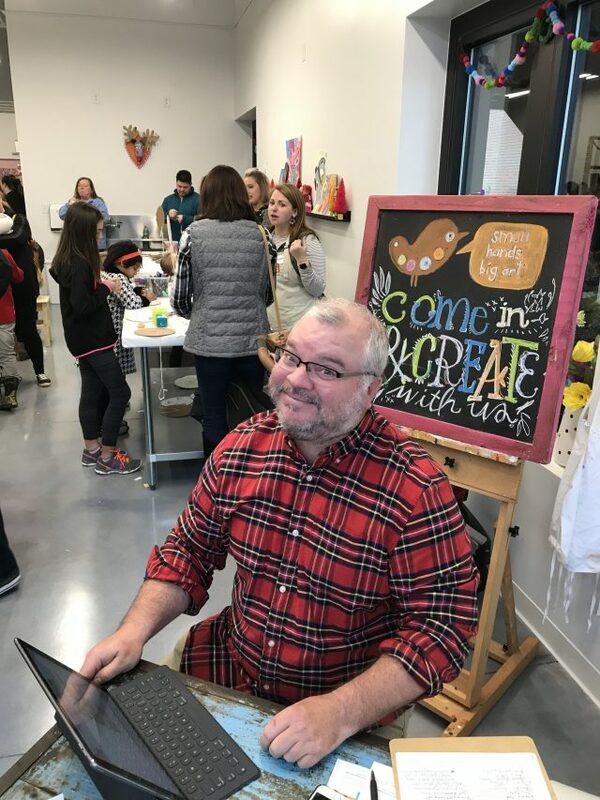 You filled our studio with smiles, laughter, and JOY. The skies outside were gray, but inside there were rainbows of color everywhere. When the last new friend left the studio on December 8- we all immediately hugged each other and laughed. We did it!!! 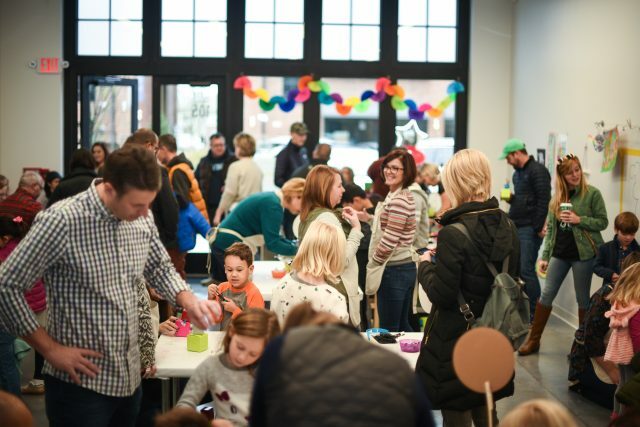 We had so much fun creating with you and your families at our Grand opening. But this is just the beginning! We can’t wait to see you in our classes, workshops, and parties.